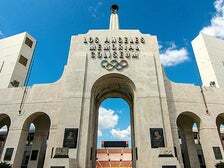 Since opening in June 1923, Los Angeles Memorial Coliseum has become one of the world’s greatest sports venues, home to world-class athletes and legendary games. 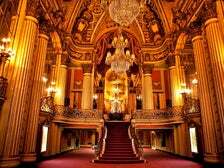 The Coliseum has also hosted numerous historic figures and countless special events. El Pueblo de Los Angeles Historical Monument is located near the site of the early Los Angeles pueblo, where 44 settlers of Native American, African and European heritage journeyed more than a thousand miles across the desert from present-day northern Mexico and established a farming community in September 1781. 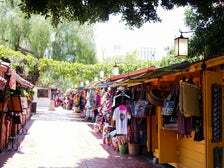 Today, as a department of the City of Los Angeles, El Pueblo is a living museum that attracts more than 2 million visitors to the oldest district in L.A. Read on and discover the cultural attractions of El Pueblo de Los Angeles Historical Monument. 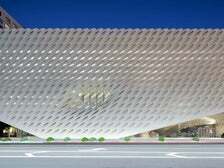 The Broad is a new contemporary art museum founded by philanthropists Eli and Edythe Broad, located on Grand Avenue in Downtown Los Angeles. 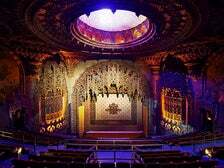 The museum will open Sept. 20, 2015 with free general admission. 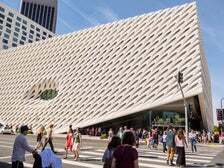 The museum will be home to the nearly 2,000 works of art in the Broad collection, which is among the most prominent holdings of postwar and contemporary art worldwide. People dressed in costumes that ranged from superheroes to internationally famous manga characters and the simply indescribable. 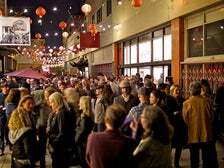 The costumes added to the festive and somewhat chaotic atmosphere, which included dozens of food trucks parked both on the Convention Center grounds and across Downtown L.A.’s Figueroa Street. Lines at the opening of the show ran about 45 minutes to get into the Convention Center’s South and West Halls. Inside the South Hall, the mood was convivial as attendees milled around merchandise booths, and outrageously-dressed people snapped photos of even more outrageously dressed people. 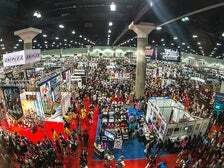 Despite having attended about 300 anime shows, 23-year-old Devin Adkins was impressed by the sheer scale of his first AX. "It's definitely overwhelming, and I definitely plan to come back next year," said Adkins, who was dressed as Yato from Noragami. "I'm going to have to take tons of photos." "You could fit all of the Texas cons (anime conferences) into this one," added 21-year-old Houston native Sophie "Tofu" H., who was dressed as the character Shampoo from Ranma 1/2. 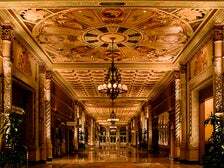 "There's lots of pretty stuff."